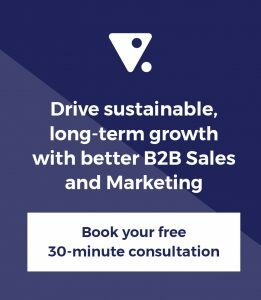 Why are sales and marketing not aligned? https://align.me/wp-content/uploads/align-me-logo.png 0 0 Chuck Besondy https://align.me/wp-content/uploads/align-me-logo.png Chuck Besondy2011-01-30 23:49:472016-12-01 03:52:52Why are sales and marketing not aligned? Why Hold a Sales Kick-off Meeting? https://align.me/wp-content/uploads/align-me-logo.png 0 0 Daniel Holland https://align.me/wp-content/uploads/align-me-logo.png Daniel Holland2011-01-06 19:59:572016-12-01 03:43:43Why Hold a Sales Kick-off Meeting?